(WACO) – Natalyn Ramos, 11, a Mansfield Independent School District sixth-grade student, experienced what life is like for an astronaut during a visit earlier this week to the Challenger Learning Center at Texas State Technical College in Waco. Though Ramos said she enjoyed working in Mission Control to guide a mock space mission, space is not where she wants to go as a profession. Ramos said she wants to study forensics and become an FBI agent. “I like science and love space, but I don’t think I would travel to space,” she said. Ramos and her classmates from the school district’s Icenhower Intermediate School visited on Wednesday the Challenger Learning Center. 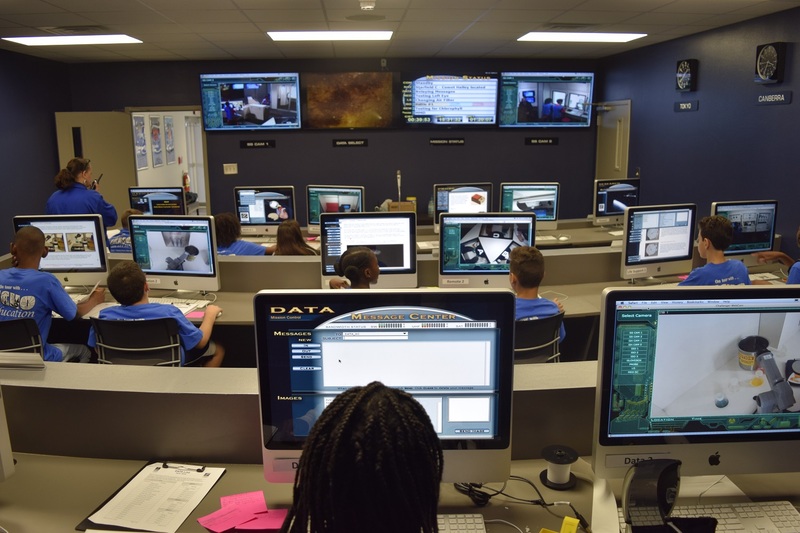 On eight days in January, the more than 400-member sixth-grade class will take part in Grand Prairie-based ECHO Education’s “Texas: It’s a Go, Mission Control” program while at the center. At the learning center, Icenhower’s students will participate in the “Rendezvous With a Comet” mission, visit the planetarium and do a school-led experiment studying the splattering effects of meteorites hitting grass, water, cement and aluminum surfaces. The field-study trip aligns with Texas Essential Knowledge and Skills standards for understanding Earth and space, said Stacy Rountree, ECHO Education’s director of education and day-programs director. 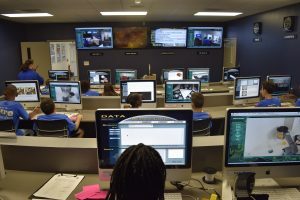 Rebecca Burton, an Icenhower sixth-grade science teacher, said the Waco visits reinforce what has been taught in space units the students have recently done. And, the students also learn valuable teamwork and communication skills. Icenhower sixth-grade student Jordan Tankersley, 12, said he was still interested in theater as a profession but enjoyed learning about zodiac signs in the learning center’s planetarium. ECHO Education provides lunch for students and charter bus travel to and from schools. The organization works with more than 40 Dallas-Fort Worth-area school districts. The nonprofit ECHO Education made it possible for two groups of fifth grade students from the Aledo Independent School District to visit the learning center in November. ECHO Education staff are already planning school visits for February. The Challenger Learning Center honors the astronauts who died Jan. 28, 1986, when a booster engine failed on the Challenger space shuttle launching from Kennedy Space Center in Florida. The initiative was founded later that year by the families of the seven astronauts tragically killed. TSTC’s Challenger Learning Center is affiliated with the nonprofit Challenger Center for Space Science Education in Washington, D.C.
For more information on the Challenger Learning Center at Texas State Technical College, go to tstc.edu/challenger. This entry was posted in Waco on January 11, 2018 by Daniel Perry.